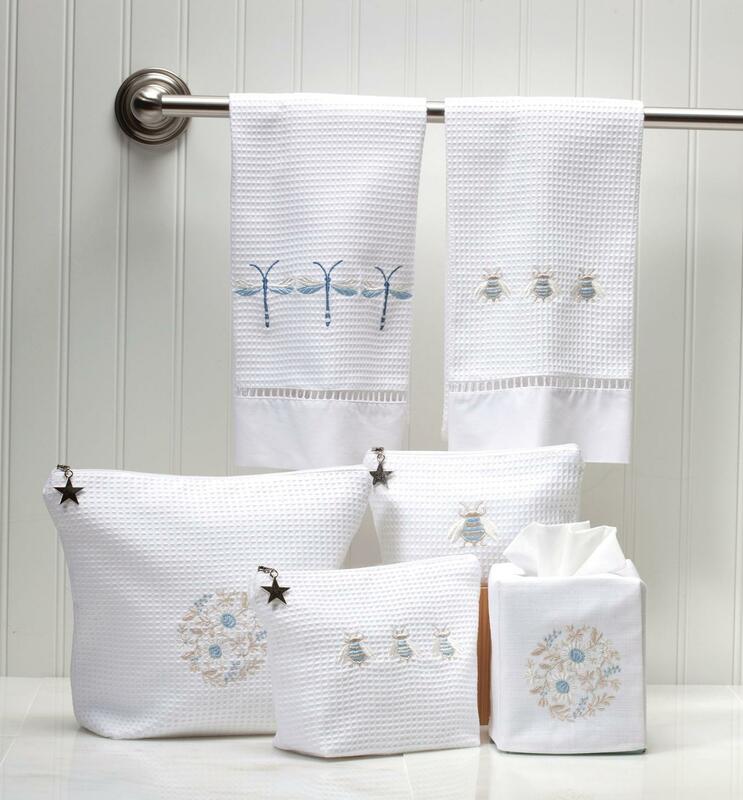 Get your bathroom back in shape by using some beautiful cosmetic bags and baskets to store your hair clips, make up, soaps, and even towels or toilet paper. File all that paperwork and keep a “work in progress” pile. Here’s a guide to help you with filing and some inspiration for some pretty file cabinets. Get your closet in order. Sort through clothes you haven’t worn in a year or more. Consider donating these to a local charity. Once you have your clothes sorted through, organize them on proper hangers for them. Having a properly organized closet makes it easy to take an inventory of what you have. Go through your kitchen. Perhaps there are some tools you never use. There may be some you use more often. Use this helpful guide to help you get your kitchen into an optimal working space. Take a look at your dining room. Are you in need of new table linens? Do you have serving platters you never use? Take out you old linens and replace them for a fresh new look! 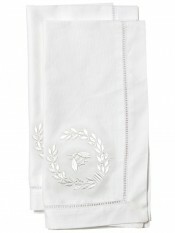 Use your own linens to help you polish up some silver since it’s nice and soft or as a rag. One of the interior design goals of the epic fantasy series “Game of Thrones” is to present rich settings that do not look like generic European castles, so creators incorporated elements from Nordic, Moorish, Spanish, Persian, Mediterranean, and indigenous cultures to create a series of unique looks. The North has thick fur coverings and sparse, dark rooms of the North and the cities across the Narrow Sea feature dusty desert beauty, but we’re going to concentrate on the decadent, boastful settings in King’s Landing where some of the most dramatic events in the series takes place. First, you’ll need to decide on a heraldry theme to tie into various elements. If your family name is associated with a symbol or animal you may decide to embrace it, but you can always use online design sites like MyBlazon or MakeYourCoatofArms to create your own. You can then take that heraldry and have it printed on banner flags or even a shield for your wall. If you don’t have kids in the house you can also consider mounting a sword on your wall. Alternatively, you can take the heraldry from the show, like Stark direwolves and Lannister lions, with items from Etsy, like these banner flags and these throw pillows. Either way, there’s a wide range of products in the world that could be festooned with the heraldry you select, including slippers, tissue box covers, cosmetic bag covers and linen napkings. Scout out more subtle applications for the heraldry as well. If you chose a lion, try investing in a lionhead door knocker or drawer pulls cabinets. Wooden latticework screens on windows will immediately set your home apart and give guests something unique to ponder over while you plot your next move. These Moroccan designs give you a lot of options. This red fainting couch provides an asymmetrical elegance to any room, being both an eye-catching centerpiece and a functional piece of furniture. Lastly if you have some blank walls try covering them with a velvet curtain. What better way to celebrate Independence Day than with a red, white and blue themed outdoor party! This year instead of relying on the same flimsy discount store decorations why not try using unique items to make your party stand out. Painted mason jar utensil holders present the perfect opportunity to bring bright colors to your table. Click here for the instructions. The trick is to use painters tape to guide your brush strokes so the dividing lines are sharp and straight. If you have a wooden door facing your party area try adorning it with a homemade flag wreath. The basic idea is to tie colorful plastic pieces around a wire frame to make a unique decoration that stands out and can be reliably stored for next year. The instructions are here. Bring a touch of class to your outdoor party by ditching the cheap paper napkins and instead bring a stack of our blue starfish or red lobster napkins linen napkins. You won’t have to worry about slight breezes blowing them around your yard. This is quick and easy viagra naturel pas cher. Use a star-shaped cookie cutter to punch out pieces from watermelon slices. The watermelon pieces will be a rich patriotic red and the watermelon slices with negative star spaces will also look fetching. This is an ambitious project, but well worth the effort to make your table the toast of the town. Use white glue to prevent the dye from reaching star-shaped areas in the blue field in the center and surround it with red and white stripes using rubber bands. The full instructions are here. What started as hobby for Lou Harvey, has turned into an international brand that is being sold in the US, AUK, Singapore, UAE and many other countries. Founded in 2002 in Durban South Africa, Lou Harvey, a South African native, oversees her creative designs locally. This hands-on approach ensures a unique personal touch that Lou Harvey enthusiast has come to expect. Lou Harvey’s flamboyant fabrics and designs are synonymous with effortless chic and recognized for their classic style with a modern twist. Her eye catching fabrics and prints are bold and perfect for bright summer days. The laid back relaxed South African designs appeal to conscientious buyers with a need for durable family friendly quality. These cutting edge and fully functional bags can be wiped down or thrown into the washing machine. We only have them for a brief time period. We watch them grow, change and move on. But for those memorable moments, we can create shared lasting memories that can be revisited, explored and enjoyed at any time. One such moment is the loss of a tooth. Each tooth lost has a story, provides an anchor in time that brings you and your child to that moment of shared intimacy as you place the lost tooth into its packaging specially made for the tooth fairy to find. Jacaranda has wonderful handmade heirloom tooth fairy pillows for just such a moment. My eldest child lost his first tooth at six. He took the loss in stride. Most of the kids in his first grade class were on their 4th tooth so he knew the drill and was expecting a visit from the tooth fairy. My husband, wanting to make this a memorable experience, went to the store in search of fairy dust. He came back with glitter infused eye shadow make up and dusted a crisp one dollar bill with the glittery fairy dust. I was reveled with stories of raised eyebrows from the less bold to the outright questions from shoppers as he stood for at least an hour at the makeup counter testing the eye shadow against his skin looking for the correct luster and shine. I tried to suppress my amusement as I dubbed him the official family tooth fairy. We marked the occasion with a picture of the toothless youth with his fairy dusted dollar. A fairy tooth linen embroidered pillow is a great way to share the moments throughout your Childs school years and becomes a great memory. Every time you or your child catches a glimpse of the pillow, the memories and feeling will be returned and relived again. Make lasting memories with a Tooth Fairy Pillow from Jacaranda. <a href="https://www.pinterest viagra recherche.com/jacarandaliving/tooth-fairy-pillows/” data-pin-do=”embedBoard” data-pin-scale-width=”80″ data-pin-scale-height=”200″ data-pin-board-width=”400″> Follow Jacaranda Living’s board Tooth Fairy Pillows on Pinterest. 7 Tips to put the “Spring” into your home! Spring is just around the corner (we hope) and that urge to do some Spring redecorating is starting to tug at you. Here are 8 simple ways to put the “Spring” back into your home, even before the green grass starts to pop through! Yes, that traditional Spring cleanup is underway and it’s time to put away that Winter clutter!Take the weekend to clean-out drawers, papers, donate clothes and household items you are no longer using. You will feel like the roof has been lifted and that decluttered living space will help you start the Spring off with an extra hop in your step. We know you don’t want to hear it, but Winter can leave you feeling, ugh well, a tad dirty!Windows, floors, under couches, dust and dirt buildup after Winter with snowy boots and lunch crumbs being dragged across the house daily (well that is if you have kids or a really messy spouse! )It’s time to lift the cushions, pull out those couches and clean those windows. If you don’ t have time, hire a cleaning company or your kids. Take down any decorations or themed items that even remind you that Winter once existed. Yes, that picture of a snowy barn, Take it down! Christmas cactuses, dark pillows or any winter themed gadgets you have laying around to accessorize, put them into a storage container and forget about them until October. 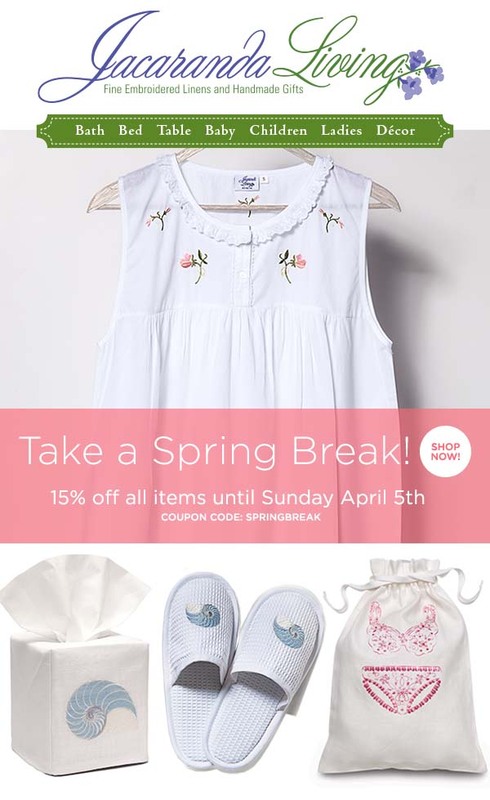 Yes you have a bit of a reason to go shopping, Homegoods, One Kings Lane, a Local recycled shop, whatever you like to shop for, find a few spring items to accessorize with and redecorate those spaces that used to remind you of Winter. Add a pop of color to your home with just a few pillows, a bright colored peice of furniture or a new throw. Great colors to pop with are lavenders, greens and yellows along with robin’s egg type blues. If your really energetic and want to step outside of the box, grab a paint can and paint a room that will leave you feeling of Spring clean. It could just be a front door, a small room or even just an accent wall. Bring in the Living Spring. Buy a few great Spring plants for in the home. Some tulips, herbs or anything green. If things can’t grow outside yet, no reason they can’t grow indoors. 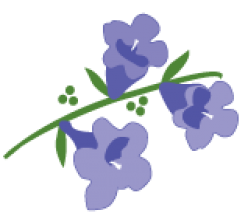 Format ImagePosted on March 23, 2015 Author Jacaranda teamCategories Gift Shows, Home Decor, Home OrganizationLeave a comment on 7 Tips to put the “Spring” into your home! We brought you 5 Unique Valentine’s Day Gifts for Her recently, but we can forget about the men! Here’s a few ideas on some unique gifts for him. Men like pampering too. Treat him to a classic shave set, soap and a few nice towels to bring his grooming experience to a whole new level! He’ll be thankful to get such a close shave and pat dry with luxurious custom towels for him. Help him keep his things organized with this custom valet. It even has space to put his cellphone charger in it. These boxes are great for storing his cufflinks, watches, collar stays and wallet. Do you have a fashionable man in your life? He will appreciate a subscription on Frank and Oak. This company creates new, customized clothing selections for him each month and then he can select what he would want to wear. Maybe your man enjoys a good bourbon now and again. Check out Mouth’s Bourbon Every Month. They send a full size bottle of a different type of independently produced bourbon every month. For your car lover, get him a car care kit!